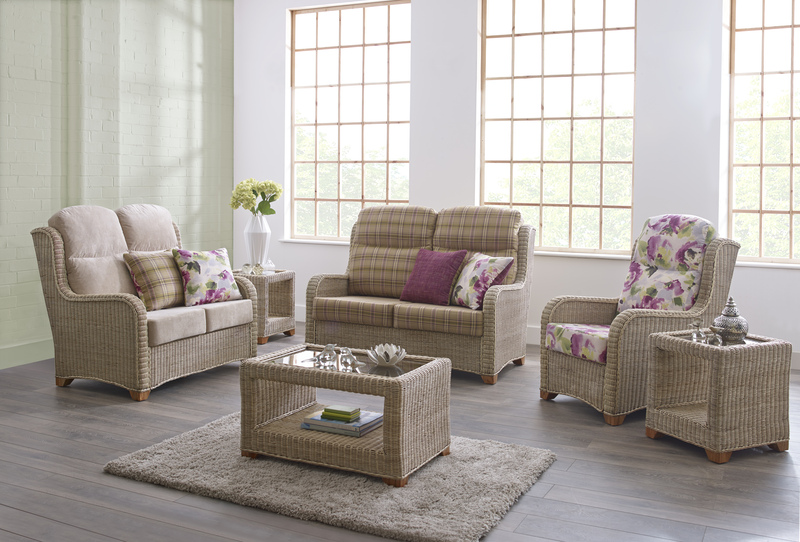 The Martello collection offers a clean, simple design with high back. a stylish, comfortable range that would grace the grandest of conservatories. Sprung seat. Frame colour only available in Natural Wash. Shown with Delphi, Malmo and Richie fabrics.